How Much Is “A Lot”? 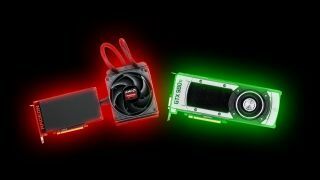 The change in test beds and comparison to the EVGA 980 Ti didn’t affect the review, as we had already factored in those items, but we were also able to play around with the Fury X a bit more and run some overclocking tests. We’ve seen reports of up to 10 percent GPU core overclocks on Fury X around the web, but our particular sample proved unstable even with a mere eight percent overclock, despite maintaining low core temperatures. We ended up with an even less impressive seven percent stable overclock, which, as you might imagine, means real-world performance is only 3–5 percent faster than stock. There are two important limitations with the current state of Fury X overclocking that need to be addressed. First, there are no utilities (yet) that allow adjusting the core voltage. Bumping the voltage a bit is often the difference between almost stable and fully stable overclocks, not to mention given the liquid cooling and low temperatures, Fury X should still have room to go faster with additional voltage. The second is that there isn’t currently a way to adjust HBM clocks. With 512GB/s of bandwidth it might not seem like a bottleneck, but considering Fury X has 45 percent more computational power than 390X but only 33 percent more memory bandwidth, that assumption may not be entirely correct. Interestingly, there are other posts circulating the Internet suggesting the HBM memory can be overclocked by as much as 20 percent, and that it actually makes a difference. These two limitations mean that this is only a preview of what Fury X overclocking may offer, and we are really hoping to see a lot more in the future. AMD needs to deliver better performance in order to compete with Nvidia’s 980 Ti, as it only ties or trails the competition (depending on benchmarks, resolutions, and settings) currently, and that’s only the stock-clocked 980 Ti. Factory-overclocked 980 Ti cards have existed since launch, with EVGA boasting a 10 percent core overclock initially, and now the Classified model comes with a nearly 20 percent factory overclock, and that’s only that beginning. Zotac just sent us a sample of their 980 Ti AMP! Extreme, which comes with a 25 percent factory overclock on the core, and an extra three percent GDDR5 overclock for good measure. But we already managed a 20 percent core overclock on the reference card, and 11 percent GDDR5 overclock as well, so it will be interesting to see how far we can push some of these other 980 Ti cards. If you’ve wondered about the reasoning behind the initial review scores, overclocking is certainly a factor. Nvidia’s Maxwell 2.0 cards (GTX 960/970/980 using GM204 and GTX 980 Ti/Titan X using GM200) have all proven very capable overclockers. For high-performance enthusiast cards, getting great out-of-box performance is expected, but being able to tack on another 15–25 percent through overclocking really pushes things over the top. Conversely, a product that offers competitive stock performance but only a small overclocking potential is typically less desirable, assuming all other factors are equal. With that said, we felt it would be enlightening to take another look at the Fury X vs. 980 Ti, this time with the best stable overclocks we could manage on each card. As usual, we want to note that nothing is guaranteed with overclocking, other than perhaps factory overclocks, so these results are more of a baseline than something you will experience. Your choice of case, power supply, and case fans can all play a role, not to mention ambient temperature, drivers, and VBIOS. We’re far more confident in our 980 Ti results as being representative of the GPU than we are of Fury X, and hopefully AMD will help unlock the full potential of the card in the coming months. For now, however, despite the similar price, overclocking in particular will heavily favor Nvidia.